At Sunday's Worldwide Leadership Training, Elder Perry announced that moving forward missionaries will now spend some time on the internet doing missionary work via social media. 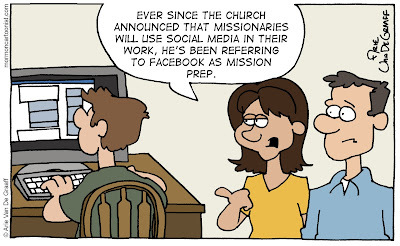 I'm impressed with the faith the Church is placing in the hands of our missionary force. Much like the move from scripted discussions, missionaries today are expected to act as agents in a greater manner than me and my cohorts ever were. 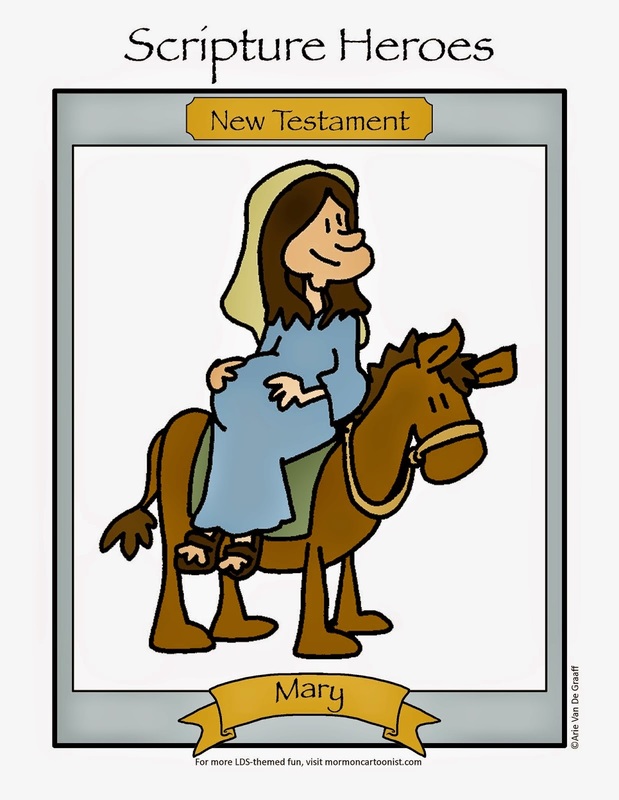 As soon as I heard this announcement I wondered how long it would take for the mormoncartoonist to capitalize on the new material. Well done! I have been talking about the Church online ever since I was baptised (OK, that's only September 2011...), but I have shared quite a lot of our beliefs on the BBC website's chat boards.